Presentation is an important requirement for the creation of our diagrams. It is important that they enhance the explanation of a technical item and do not confuse further the reader. This is always kept in mind. 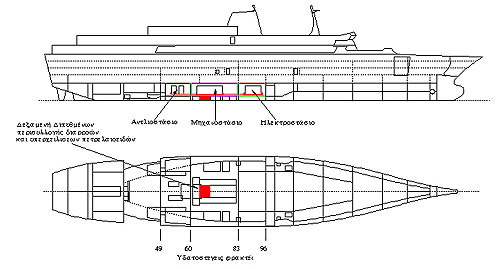 Three dimensional render of a Passenger Vessel drawn to scale from vessel's plans and used in a sequence of drawings to illustrate the events of a sinking..
2D Drawing of a Passenger Vessel detailing the source of Flooding and part of a sequence of drawings including close-ups of sections for best explanation. Please note quality severely reduced to allow for fast downloading.